Nightshade redirects here. For more uses see Nightshade (disambiguation). Lily plants that bud within the Fungal Cavern. A pleasant, sweet and aromatic fragrance emanates from the petals. Hunting with Nightshade Farming Charm armed will give a hunter an extra Nightshade on hunts where one is looted (but the charm will be consumed on encounter, even if no Nightshade is obtained). 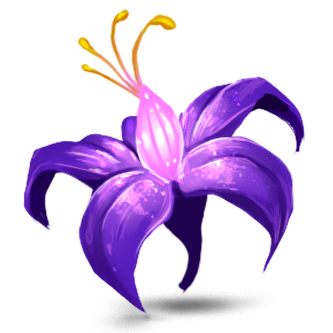 Nightshade was introduced 12 May 2015 with the release of Fungal Cavern. This page was last edited on 8 October 2015, at 22:20.